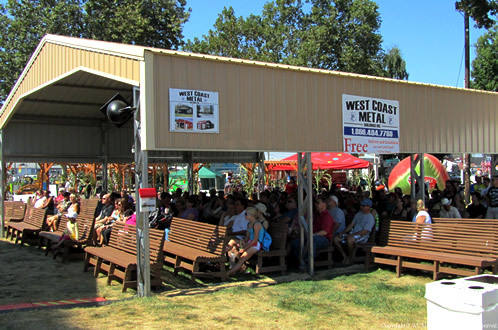 West Coast Metal Buildings | Home | Carports, Garages, Barns, Customs, and more..
Not using your RV at this moment and need to cover it from weather? Keep your vehicles out of bad weather. 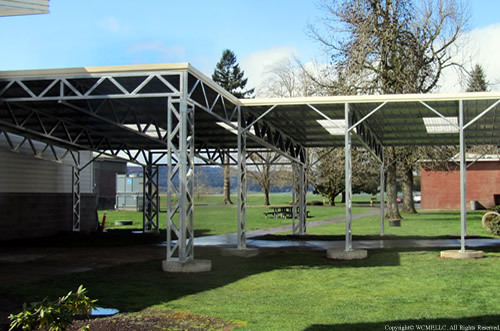 Check out our standard models. Want to keep valuables safe? 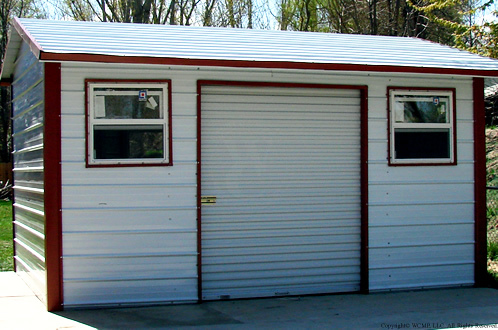 Our garages are fully enclosed and secure. 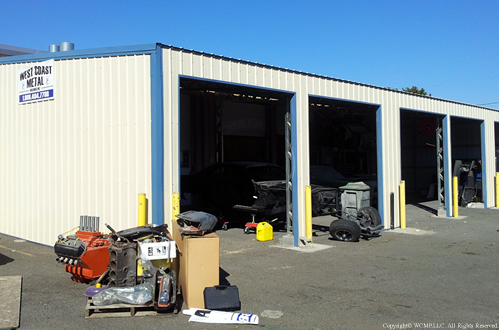 Too much junk in the trunk and need a storage unit. You know what to do. Have odd dimensions? We have solutions. 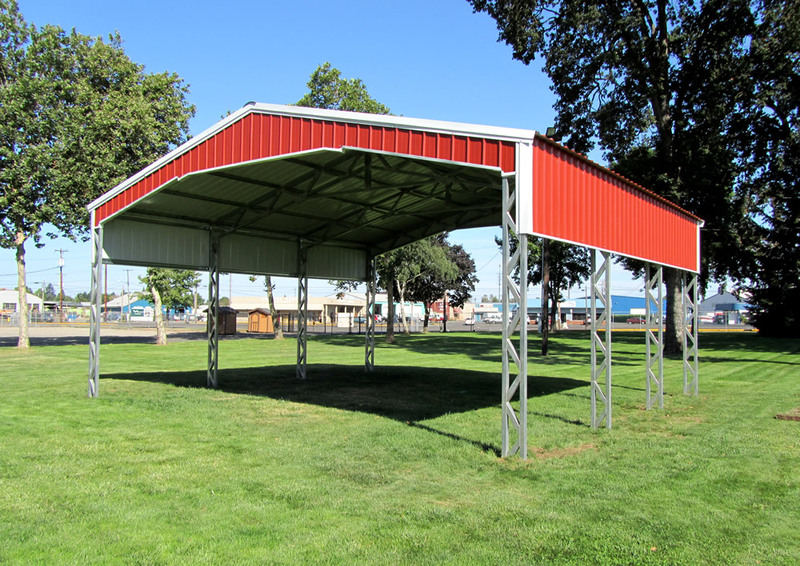 Good for warehouses, auto shops, etc.. Must be anchored to concrete. 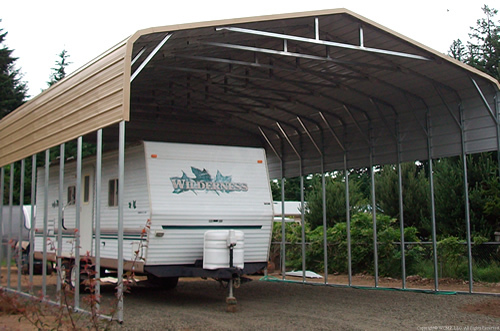 Need to cover a RV, a boat, and a car? Well here's the solution. 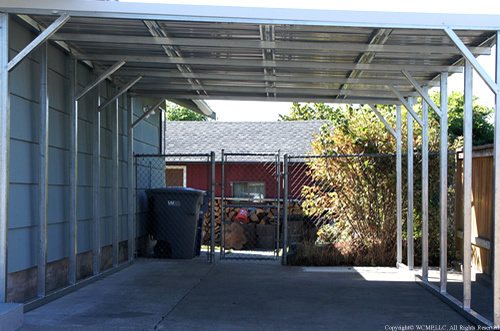 Designed to fit right next to homes/builidngs. 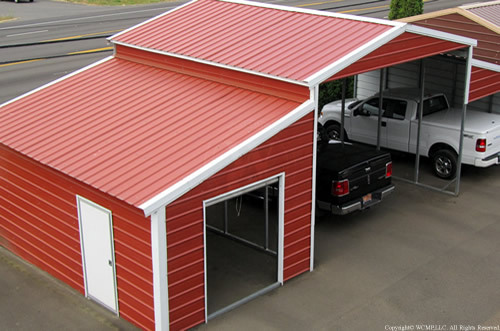 Cover farm equipment, multiple vehicles, agricultural product..
Carports with storage units attached. Good for storage and more. 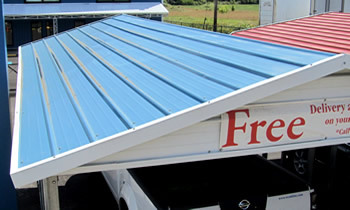 We have been in business since 2003. 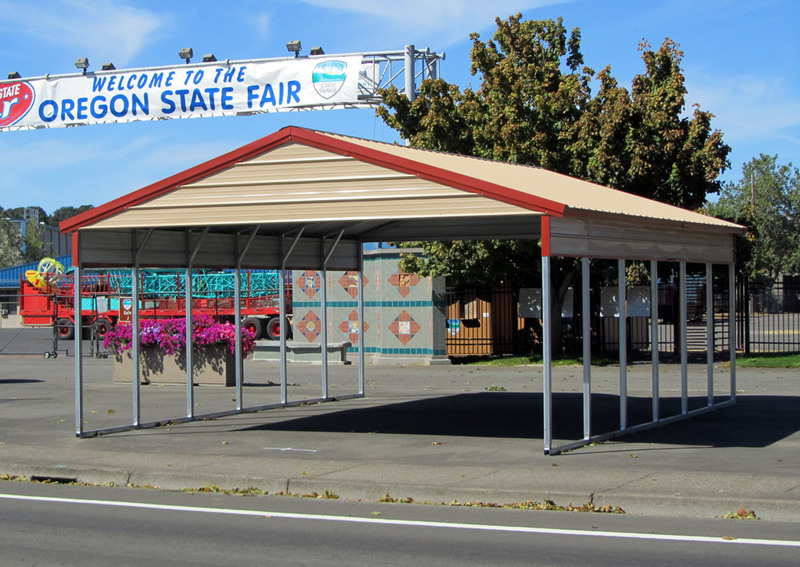 We began in Hermiston and eventually decided to move to Salem to expand delivery services. 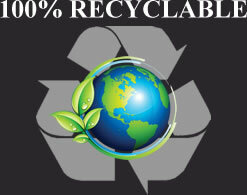 Our goal is to give our customers the best available price while still providing excellent products. 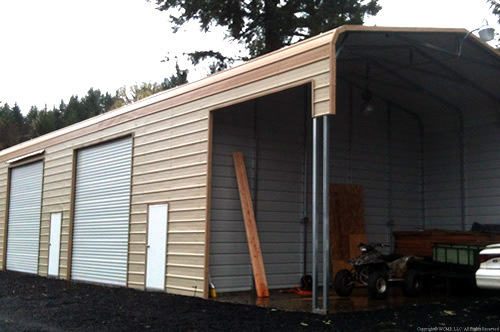 All buildings are delivered and installed at no additional charge, please call for details. 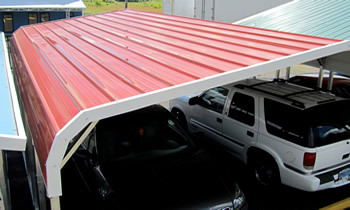 These are our most popular style of carports. 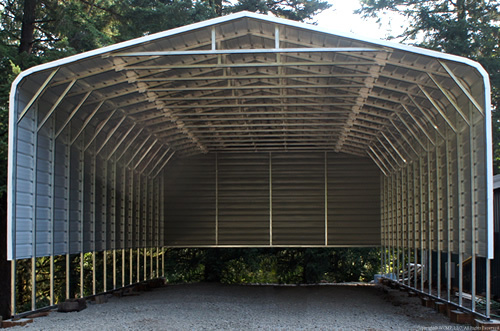 The standing seams on roof panels go from end to end, which will allow all fluids to travel to either chosen end. 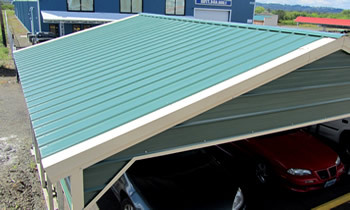 This roof style does have a 6 inch overhang on the ends. Want something more stylish? 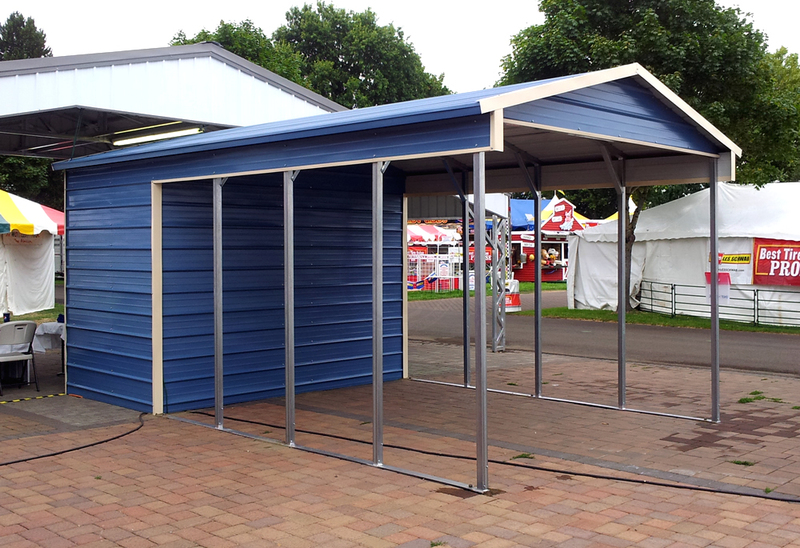 The A-Frame Horizontal comes with Gable Roof shape, which creates a overhang of 6 inches all around. 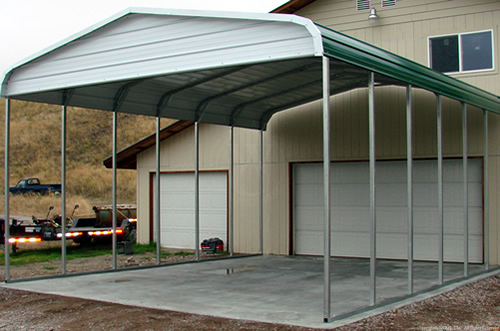 Trying to protect from snow or debris? 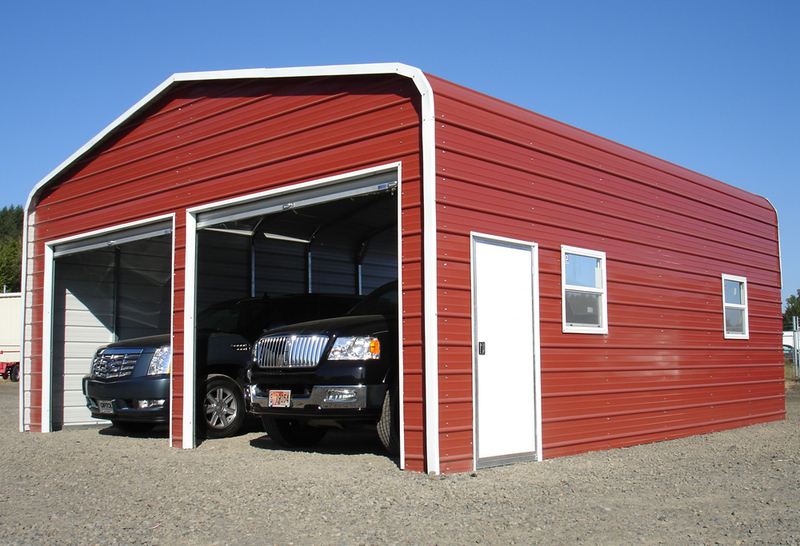 A-frame Verticals are the best option for easy maintenance and for snow/debris removal. Mark all underground lines, where anchoring will take place.